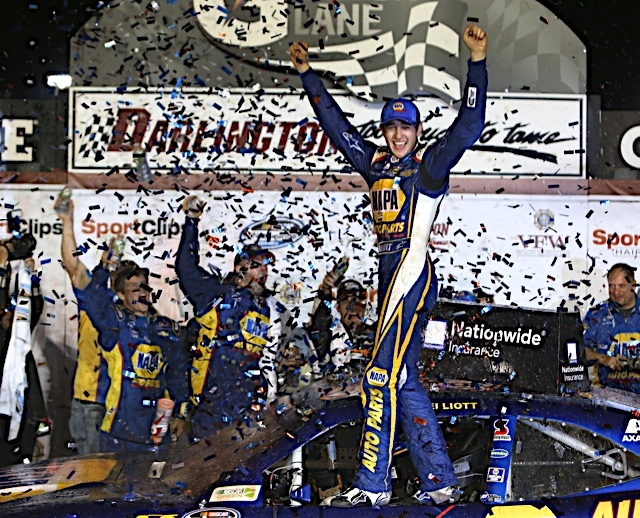 DARLINGTON, S.C. (April 12, 2014) – Last week, Chase Elliott became the second-youngest driver in NASCAR Nationwide Series history to win a race. This week, he became the youngest to win two. 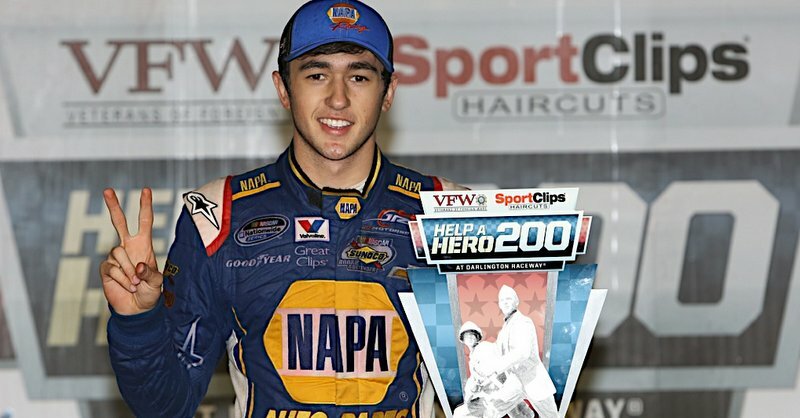 Elliott’s meteoric ascent continued at Darlington Raceway Friday night as he won the VFW Help a Hero 200. He wheeled his No. 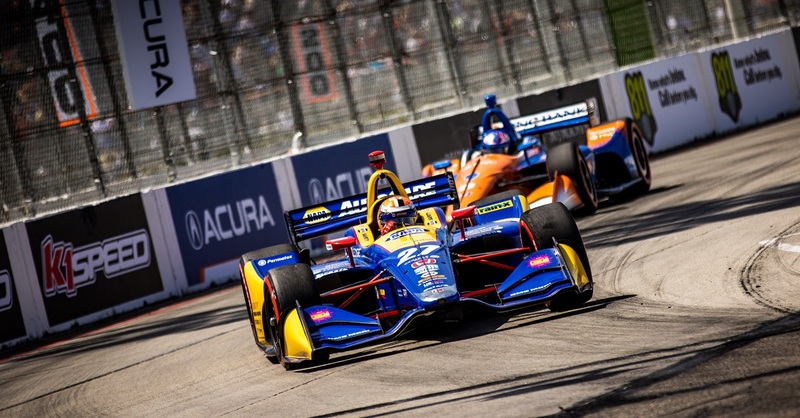 9 NAPA AUTO PARTS Chevrolet from sixth to first in a two-lap sprint to the checkered flag and passed Elliott Sadler on the final circuit to claim the dramatic victory at the track “Too Tough to Tame”. Elliott has now finished in the top 10 in six of his seven career races and he’s won two of them. 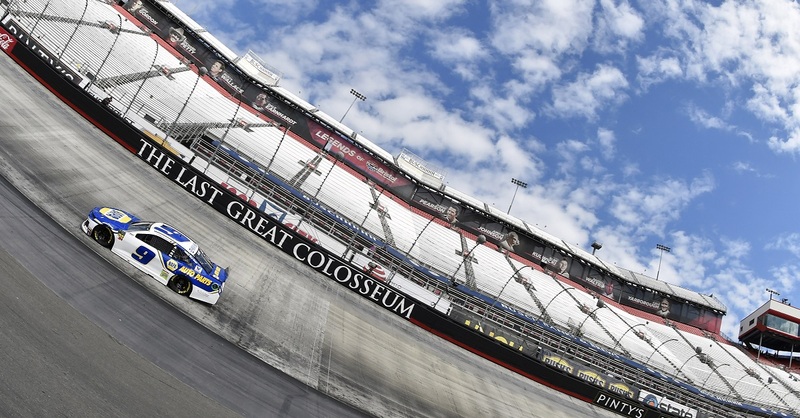 By virtue of the victory, he cushioned his lead in the championship standings to 13 points over teammate Regan Smith. 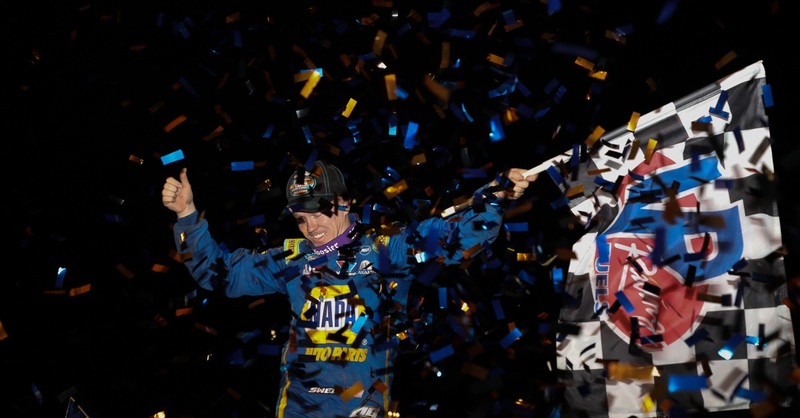 Elliott, who is four weeks away from graduating high school, led a career-high 52 laps Friday night. 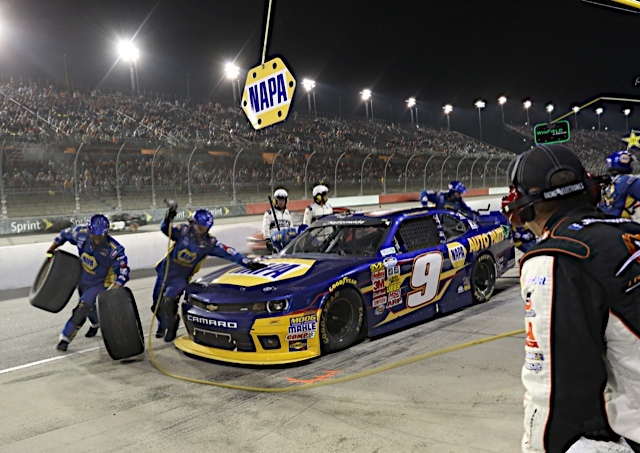 He was in second place – 1.3 seconds behind leader Kyle Busch – when the race’s final caution flag flew with seven laps to go. The caution was a blessing in that it bunched the field, but a slow pit stop cost Elliott four positions. 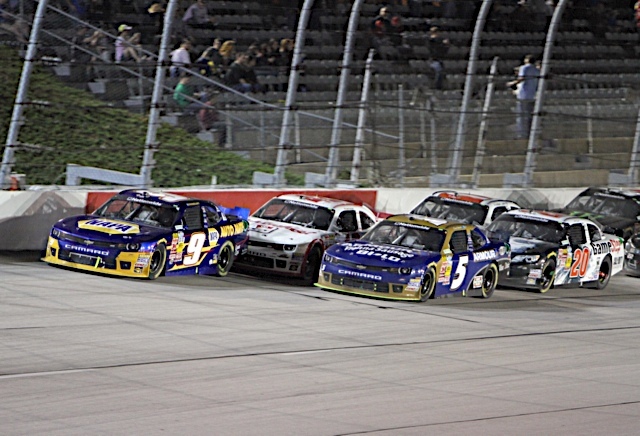 Restarting outside of the third row with only two laps remaining, Elliott bypassed four cars in one lap to take second, then quickly began stalking Sadler’s No. 11 through turns one and two on the final lap. A slight bobble by the veteran driver allowed Elliott to sweep by for the lead and victory. 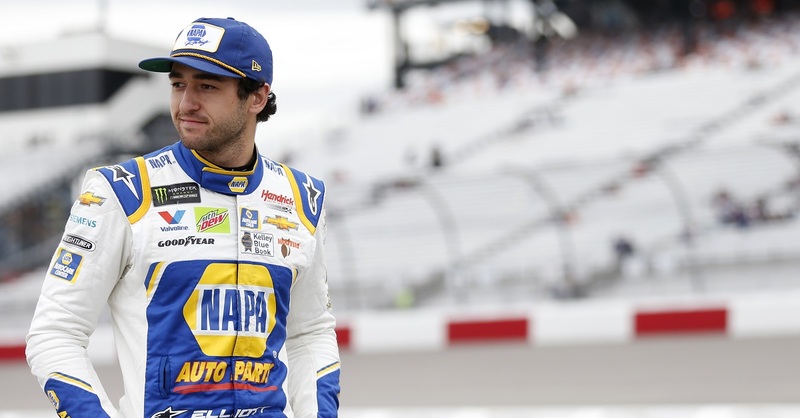 Elliott, who continues to lead the Sunoco Rookie of the Year class, is now the youngest driver to ever win a Nationwide Series race at the legendary track and he became the first Nationwide Series regular to win at the “Lady in Black” since Brian Vickers on Aug. 30, 2003. Following Elliott to the finish were Joe Gibbs Racing drivers Sadler, Matt Kenseth and Kyle Busch with Joey Logano rounding out the top five. 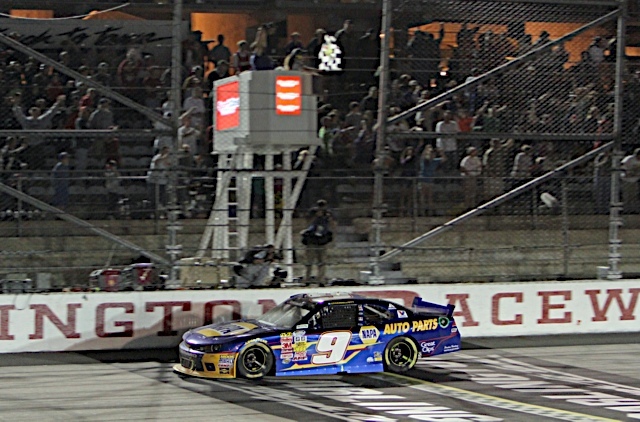 Elliott’s Darlington win marks the 15th win in JR Motorsports history, first ever back-to-back in the Nationwide Series, and the team’s third in only seven races this season. “This is unbelievable to come here and win. I don’t really know what to think right now. 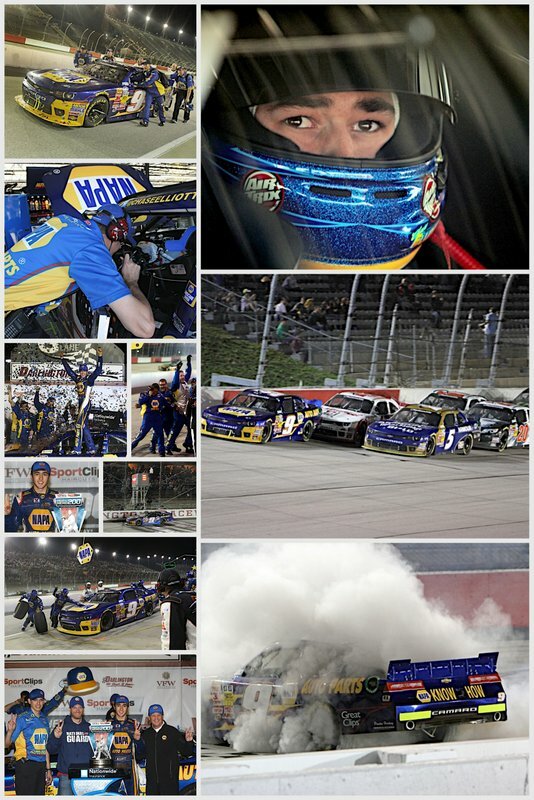 All I know is we’ve got a great opportunity right now at JR Motorsports with NAPA AUTO PARTS and I want to do the best job I can do behind the wheel for these guys. 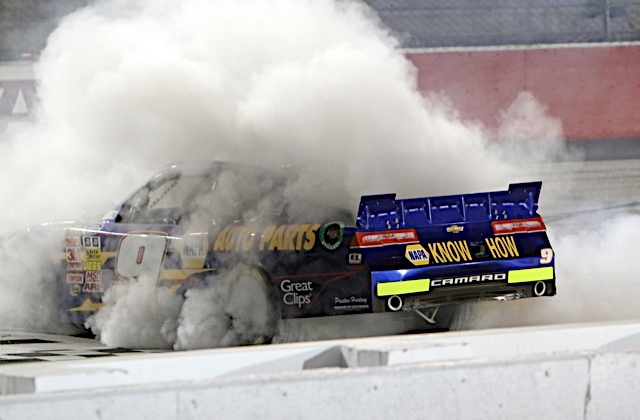 It’s incredible to come to Darlington and win.